Edward Louis Bernays (1891-1995) was an Austrian-American pioneer in the field of public relations, and among the most prominent public relations theorists and practitioners, considered the father of public relations. Combining the ideas of Gustave Le Bon and Wilfred Trotter on crowd psychology, and the psychoanalytical ideas of his uncle Sigmund Freud, Life magazine named Bernays one of the 100 most influential Americans of the 20th century. Bernays is also the author of the first book in the world dedicated to public relations, Crystallizing Public Opinion, published in 1923, and that same year he established the first public relations department at New York University. Bernays also worked with a vast number of famous clients, including President Calvin Coolidge, Procter & Gamble, the American Tobacco Company, General Electric and many others. 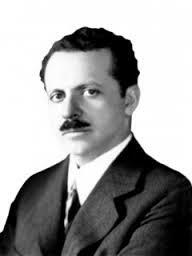 Bernays revolutionized public relations by combining traditional press agentry with the techniques of psychology and sociology to create what theorists today call public relations. He was the first to actively use psychoanalytical ideas with the purpose of maximizing commercial effects to promote various services and products such as cigarettes, books, soap, etc. Bernays, who pursued his calling in New York City, was the first practitioner who called himself a “counsel on public relations”, clearly differentiating public relations from advertising, which was dominant at the time.